Built 1811. 1881 interior rebuilding, replacing wooden parts by iron. Demolished 1907. 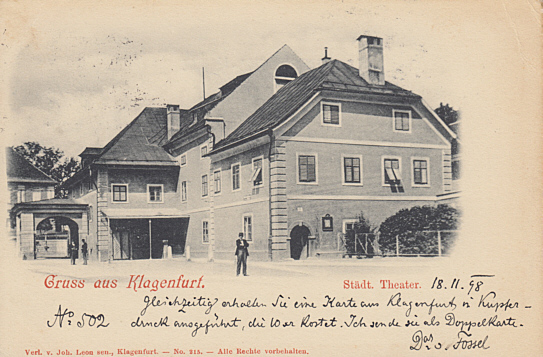 Front Text: "Gruss aus Klagenfurt - Städt. Theater"